Spring is the time for spinning. Spinning, and observing what goes on in the neighborhood. The last 2 days have been beautiful, and despite recovering from a cold, I’ve spent a good portion of them spinning on the front porch. I’ve observed that my neighbor, who had a stroke this winter, seems to be coming home soon. Observed 2 cars in his driveway, and a group of people touring the home. One of the cars was a home health car. It will be good to have him back. 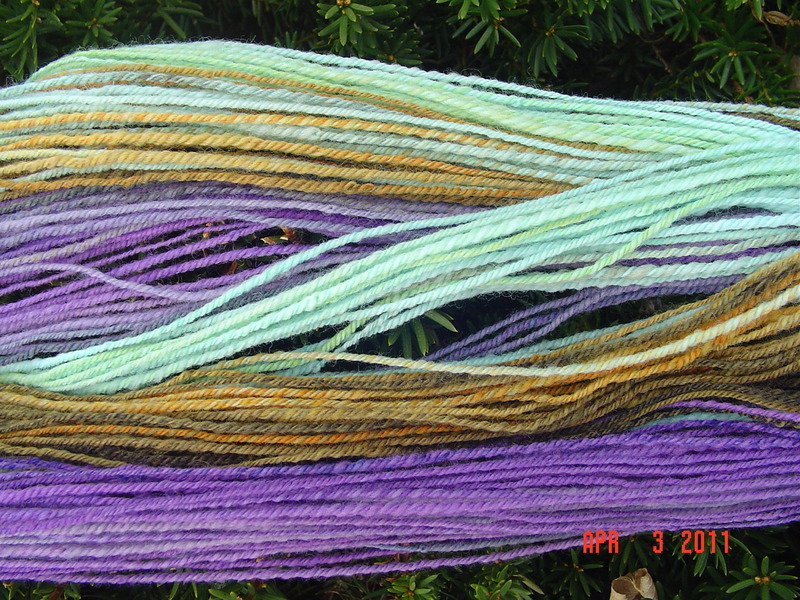 I’ve observed how spinning gradient dyed wool is like an addiction. 240 yards sport/dk weight yarn, navajo plyed to preserve the lack of color repeats. 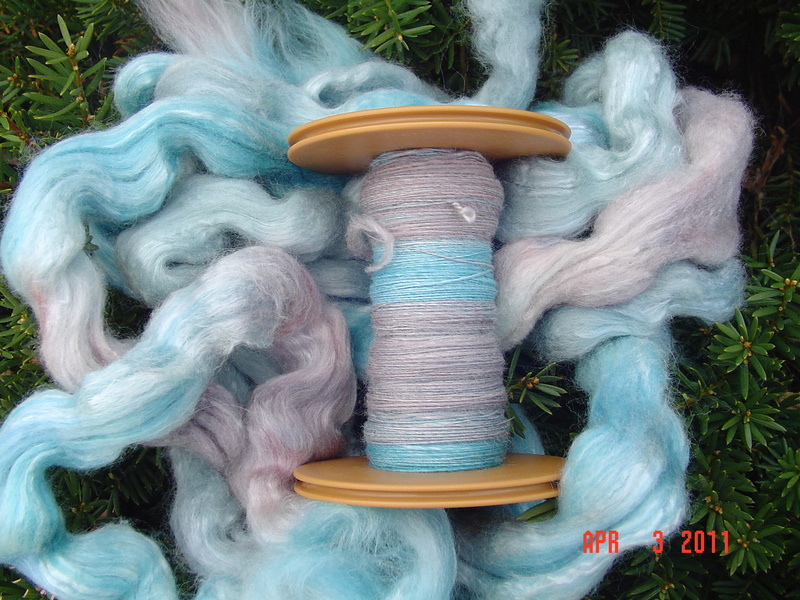 I’ve observed how once I start spinning in the spring, it is really hard to stop, even to eat. Bamboo/merino wool of unknown origin. This will be a 3 ply. And I’ve also observed that my phone, on pandora, station set to Jolie Holland, makes the entire evening even more relaxing.